1. Happy Feet - Feldenkrais® based exercises and movement explorations to improve feet functioning for better standing, walking, jogging and dancing. Sundays, 4-5PM, October 7,14,21 2018. Fee: Members - NIS 150, Nonmembers: NIS 180. Location: Location: AACI, Allenby 94A, Tel Aviv, Israel. 2. Balance & Posture - Feldenkrais® based -Short, fun exercises and movement exploration, done sitting, standing and walking, especially designed to improve balance and posture. Sundays, 4-5PM, October 28 - December 16, 2018 (8 classes). Fee - Members 400 NIS, Nonmembers 480 NIS Location: AACI, Allenby 94A, Tel Aviv, Israel. 3. Dynamic Sitting - Improve your sitting, prevent back, neck and shoulders strain. Sundays, 4-5PM, January 6 - 27, 2019 (4 classes). Fee: Members 200 NIS, Nonmembers 240 NIS. Location: AACI, Allenby 94A, Tel Aviv, Israel. 2. Feldenkrais®Pelvic Power for Women and Men - Strengthening pelvic floor muscles for better personal and sexual functioning. 3. Let's Have a Ball - Improve balance and coordination using large body balls. 4. Dance From the Inside - Tap into your inherent creativity and energy through guided and free style movements. No experience necessary. 5. Feldenkrais® Dynamic Sitting - Sitting for long hours leaves us in a frozen, passive position. We end up with back and neck pain, eye strain, shallow breath, and overall fatigue. By making sitting more dynamic we can relieve muscle tension and pain, and make the activities we are engaged in more productive. 6. 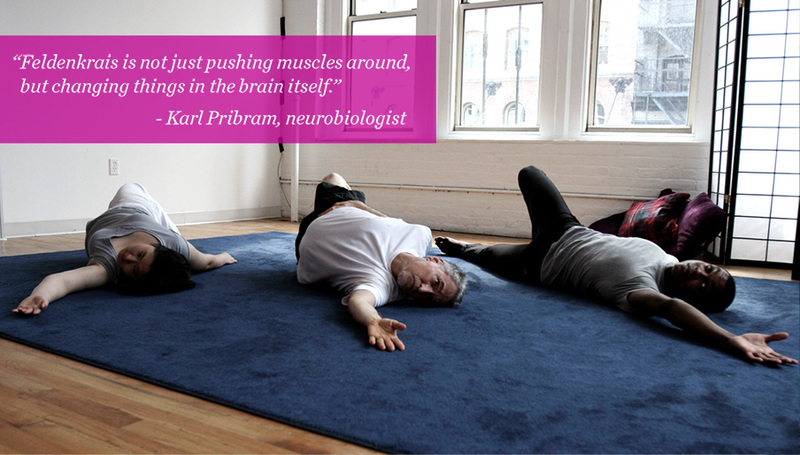 Feldenkrais® Rock’N’Roll - Reconnect with your ability to move freely and effortlessly. Slow, gentle movements, done on the floor, leading to complex, active, fun ones.